The Alaska Chinese Association (ACA) serves to maintain social contacts and to provide cultural and educational functions to the Chinese community in Alaska. It is a 501(c)(3) non-profit organization with no political or religious affiliations. The ACA was established in 1976 with about a dozen families. We are now in our 43rd year, and our membership includes almost 200 families. The majority of our members come from Taiwan, Hong Kong, Mainland China, and Southeast Asia, but we also have many second and third generation Chinese-Americans and non-Chinese members as well. Our members come from all walks of life. We have government workers, petroleum engineers, teachers, bankers, doctors, lawyers, accountants, and airline/airport-service personnel, among many others. The board of directors and four officers run the Association. The officers of the Association are the President, Vice President, Secretary and Treasurer. The board of directors consists of 13 members including the four officers. There is a set of bylaws guiding our operations. The end of our fiscal year is March 31. Annual meetings for elections are usually held in late March. The overseas Chinese in Alaska have always hoped that our younger generation will have a comprehension of the Chinese language. However, this has not been an easy task. In the past several years, the Chinese School has been re-organized. We have a Principal and 2 Vice Principals. We requested the use of Northwood Elementary School classrooms and set up six classes: pre-school, beginners class, elementary class, intermediate class, advanced class, and an adult class. 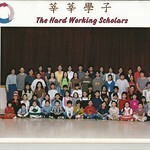 There are currently over 80 students enrolled in our Chinese School. Classes are held on Friday evening from seven to nine during the ASD school year. After school and during the summer, we have extracurricular activities such as calligraphy, folk dance, lion dance and arts & crafts to help students appreciate Chinese culture. The teachers and administrators are all volunteers, compensated only for their transportation costs. We collect a small amount of tuition (or supply fees) to help pay for these transportation costs. We also have volunteer parents in the PTA to assist the school principal. The Anchorage Daily News has written an article about the Yen Wulin Alaska Chinese School, exploring the variety of different students who attend Chinese classes. The founding of the Chinese School has been a goal of our Chinese community. We, the Chinese in Alaska, take pride and comfort in realizing this goal. The Alaska Chinese Association is staffed with capable volunteers who organize all kinds of exciting activities, some of which are targeted toward the Chinese community and others toward the Anchorage community as a whole. Though our members have many other commitments and everyone is loaded with responsibilities, the quality of our programs and activities continues to improve. 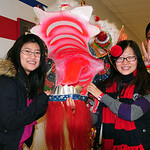 The Chinese New Year celebration is the largest event that we organize every year. 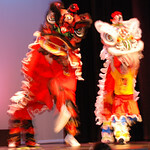 The program includes folk dance, traditional music, martial arts, and the lion dance. Participants enjoy these beautiful performances along with delicious Chinese food. This annual event has been highly commended in the community and the audience has grown past 800, half of which are non ACA members. Mothers are honored at this gathering with flowers and gifts. The husbands do all the cooking. ACA members get together for a picnic to celebrate this traditional Chinese festival and enjoy Zongzi (sticky rice in Lotus leaves). We also have activities such as volleyball and soccer. This mid-autumn event traditionally features moon cakes and carnivals. It is normally held in the evenings so participants can appreciate the moon. At this annual potluck, children have a chance to take pictures with Santa. Often at the request of the Anchorage community and the school district, the ACA participates in all kinds of cultural activities and performances, such as the annual Asian Culture Night. We also send members to elementary and secondary schools to introduce and promote Chinese culture and tradition to the local students. We also organize events such as the Overseas Chinese Art Festival (China Night), held at the Discovery Theater of the Performing Arts Center. For this event we bring in traditional Chinese shows by famous Chinese performers. 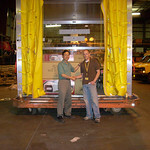 The ACA mounted a disaster relief campaign following the 2008 Sichuan Earthquake. Our China Earthquake Relief Fund (CERF) program raised over $30,000 in donations and shipped tents and canopies to earthquake-affected regions in the Sichuan province. In 2009, we held a fund-raising program to assist Taiwan's rescue and recovery efforts in the wake of Typhoon Morakot. Membership is open to all Alaskan residents. Applications for membership are available for download. Please send completed applications by mail to the address below.